If the name isn’t a reason enough to check this candy shop out, we are here to tell you–it’s a must visit! 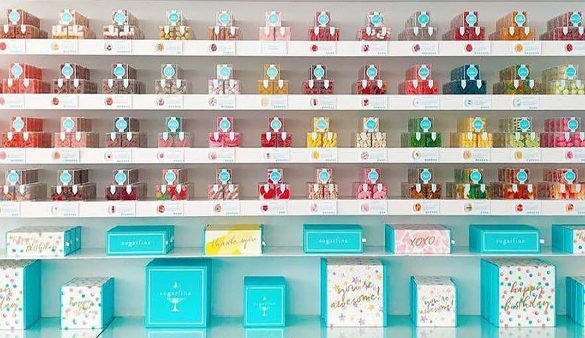 Sugarfina is a luxury candy boutique for grownups. With cocktail inspired candies to mock green juice cleanse candies to classic flavors you know and love, you won’t leave here empty handed!